With exceptional educational and professional backgrounds, our instructors are experts in their fields. In addition to outstanding interpersonal communication and presentation skills, their on-the-job experience ensures that they deliver the newest best practices and will share insightful secrets and tricks to excel in your organization. Do you have expertise to share? Consider joining our instructor team. Dr. Brian Barnes earned a B.A. in Philosophy from Hanover College in Indiana, followed by an M.A. in Philosophy and a Ph.D. in Interdisciplinary Humanities from The University of Louisville. 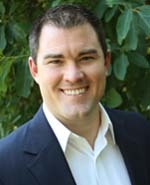 Dr. Barnes’s post-doctoral work took place with Dr. Richard Paul at The Foundation for Critical Thinking in California. 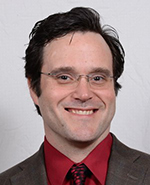 Barnes has been a featured presenter at the International Conference on Critical Thinking, and he is internationally in-demand as a critical thinking educator, trainer, and facilitator. In 2014 Barnes published a textbook entitled “Thinking Critically About Business Ethics.” He currently serves on the faculty at The University of Louisville, Indiana University Southeast, Bellarmine University, and Spalding University. Barnes is also a faculty member at UofL’s partner institution in Panama, Quality Leadership University, and he teaches online critical thinking courses for The Foundation for Critical Thinking. A veteran of the United States Army, Barnes earned an Outstanding Volunteer Service Medal and Joint Services Achievement Medal, among other accolades. Barnes consults regularly across the professional spectrum, and he has worked directly for The National Security Agency and other government agencies for professional intelligence tasks in classified settings. Lee Cowherd has over 20 years' experience as a consultant, facilitator and trainer. A graduate of the Ohio State University and Vanderbilt University, Lee has worked extensively in the public sector, developing and delivering training to thousands of government employees, leading planning sessions for top leaders, and developing innovative HR practices. His public sector expertise is tempered by his experience with the for-profit world, having worked with clients from Main Street retailers to Fortune 500 companies. Lee's specialty is helping his clients prepare for the future by identifying key workforce and societal trends and helping them develop the systems, structures and skills they need to thrive in a changing world. Becky Crump has more than 20 years working with all phases of grant development including proposal reviews. She has a BSW, MA and EdS degree. She is also certified by the Grants Professional Certification Institute, a certification program that measures a grant professional's ability to provide quality grant-related services within an ethical framework. She has served as a peer reviewer for 16 different state and federal grant competitions. As current director of resource development for the Jefferson County Schools (JCPS), Ms. Crump develops and oversees grant development for the district. JCPS is the 29th largest district in the nation with more than 100,000 students. In her position, she has primary responsibility for directing the ongoing search for external funding opportunities from federal, state, private and corporate sources. Prior to JCPS, she worked with grants and contracts at the state level and the University of Louisville. In all her positions, she has developed and implemented grant training workshops. Eileen provides career services to University of Louisville College of Business students and alumni through the Ulmer Career Center. Currently a Hudson Institute-certified career coach, Eileen is also studying to become a certified brain-based success coach, which draws on neuroscience research to improve outcomes. Eileen earned a Juris Doctor and Bachelor of Arts degree in history from the University of Utah and worked for 12 years in human resource roles at corporations including Lord & Taylor and The Iams Company. Eileen also provided career development services to transitioning professionals at all management levels for two leading outplacement firms. 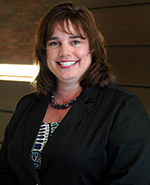 She earned a global career development facilitator designation through the National Career Development Association. 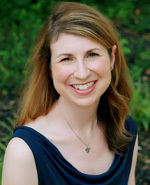 Eileen is certified in the Myers-Briggs Type Indicator (MBTI), StrengthsQuest, Predictive Index and CareerLeader assessment methods, and has more than 15 years experience using the Myers-Briggs Type Indicator with individuals and groups, including conducting MBTI training sessions at GE, Southeast Christian Church and the University of Louisville. Virginia brings over 30 years of training experience to her participants. Throughout her career, she has helped thousands of participants get the tools they need to excel in their positions. As the director of professional development and conference services, she provides strategic consulting and facilitation services to area businesses. Degrees in psychology and organizational communication contribute to a human-potential focus in her work. Additionally, her master's in human resource education provides the most cutting-edge information in the field to help learners get the tools they need to be effective. Maryanne Honeycutt Elliott works with teams, leaders and individuals who want breakthrough results through conversational, relational and emotional competencies. She is a formally trained leadership coach from Georgetown University in Washington, DC, and certified by Priority Management Systems to deliver the full curriculum of Working Smart – a global solution to setting priorities, communicating effectively and increasing productivity. 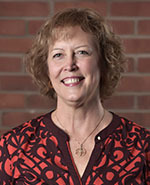 She holds several certifications in assessment tools by leading global providers including Target Training International (“TTI”), The Hogan Assessment System, Emotional Quotient-Inventory® (EQ-i), Profiles CheckPoint 360°, The Leadership Practices Inventory (LPI), Myers-Briggs Type Indicator (MBTI), Leadership Networking Diagnostic Tool. She is also a certified speaker for Vistage International, a global mentoring company for CEOs and entrepreneurs. Maryanne spent seven years as a consultant for Omega Performance, a national performance management company, and provided solutions to shift the culture of the organization. She earned a Master in Business Administration from the University of Louisville and a B.A. from Furman University in English and Political Science. She is a PCC certified coach by the International Coach Federation and is currently in an executive doctoral program at The George Washington University in Washington, DC. Michael Harper is the founder and president of Teamworx Talent Development where he increases revenue and productivity in organizations by decreasing the time and energy wasted by silo thinking, personality conflicts, and poorly functioning teams. 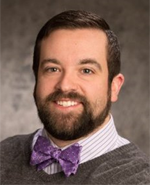 He’s also a facilitator with the Nason Group, an innovation consulting firm based out of Cincinnati, OH, that uses consumer-centered innovation to connect companies with their customers. With a master’s in teaching, Michael has twenty years of experience facilitating groups, designing programs, and empowering teams to achieve their goals. 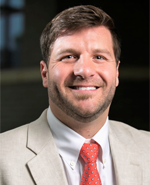 He was a contributing author to the 2016 anthology, Cultivating Culture, and has contributed to monthly and quarterly publications of Kentucky’s Society for Human Resources Management (KYSHRM). He currently serves on the board of the Louisville’s chapter of the Association of Talent Development as the co-director of programming. 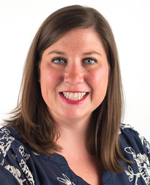 Jenna Haugen is an assistant professor in the Department of Management at the University of Louisville. She has a Ph.D. in organizational communication from the University of Kansas. Her courses in Business Communication and Crafting Managerial Communication teach students the art of communication in a multitude of contexts from the elevator to the board room. Jenna leads the Social Enterprise Incubator in the College of Business and is passionate about developing leaders that are capable of contributing to their communities. She serves as the vice-president of community for the Young Professionals Association and was recently recognized by Louisville Business First as a Young Leader. She recently published an article on entrepreneurial passion and venture pitches and hopes to share her passion about communication and leadership with you. Lynn Ingmire has over 30 years of human resource management experience. She has worked in various types of organizations including manufacturing, food processing, education, distribution/transportation/warehousing, and not-for-profit associations, in small and large companies, in both union and non-union environments. 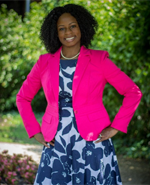 In 2014 she founded Essential HR Partners, LLC providing training and consulting in human resources and leadership. She received her B.S. in Sociology from the University of Louisville and holds two professional certifications: SHRM-SCP (Society for Human Resource Management Senior Certified Professional) and SPHR (Senior Professional in Human Resources through HR Certification Institute). 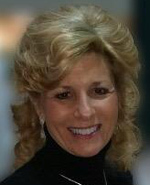 Lynn has held several volunteer positions: 2016 & 2017 Chair of the Kentucky SHRM (Society for Human Resource Management) State Council; member of the HR Advisory Group for Boys and Girls Haven in Louisville; the Workforce Center Advisory Board of the Kentucky Chamber Workforce Center; Past President of Louisville SHRM (Society for Human Resource Management); and The Lupus Foundation of America – Mid-South Group Board of Directors. Lettie Johnson is recognized as a John C. Maxwell Life & Leadership Coach, speaker, trainer and CEO of Gifted By Design Leadership & Consulting, LLC, a forward-thinking leadership consulting firm that specializes in connecting, consulting, and coaching leadership and success practices to empower adults, youth and organizations. Lettie has a bachelor's degree in Communication and Justice Administration from the University of Louisville. Mastering the art of growth and connecting, Lettie believes in her community and making an impact by using our influence and shifting our mindset. She holds a Global Leadership certification from Catalyst and is part of the world-renowned leadership company John C. Maxwell Team. She holds over 18 years of experience in transforming organizations and people. Utilizing experience and skills in leadership development, strategic planning, and communication methods to assist people in maximizing their capacity and reaching their potential. Paul Karem, a 30-year business veteran, possesses a passion for customer service. Karem distinguished himself as a residential mortgage originator, generating up to $70-million in closed loans annually. During his career Karem was a leading producer for two national mortgage companies, founded and sold his company to a regional bank and served as a trusted mortgage consultant. His career closings exceed $1B dollars without subprime mortgage production, a testimony to his customer service commitment. 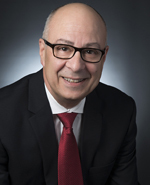 Karem currently operates Paul Karem Mortgage, powered by First Savings Bank. In addition to his mortgage career, Karem successfully managed multiple businesses, including healthcare enterprises. He also served on local boards. Karem is a frequently featured speaker on the topic of customer service for financial institutions, mortgage companies, foodservice firms and assorted businesses throughout the Southeast. He is also the author of Above the Fray, his practical guide to addressing today’s real-world customer service issues. A Louisville native, Paul attended the University of Kentucky on a football scholarship. Karem attributes his growth and endurance to a cheerful willingness to learn from business challenges. He credits success to his unique experiences and abilities valuing and prioritizing customer service, both within firms and throughout their external operations. 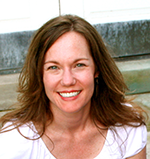 Elizabeth Jenkins Kimbell is a professional writer with more than 25 years of experience. Her expertise includes advertising support, sales, marketing, copywriting, and designing and writing corporate and nonprofit newsletters. She teaches online writing courses for UofL's Department of Communication. 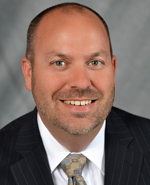 Scott Kimbell has 20 years of hands-on experience in government relations, associate and executive leadership, budgeting, planning, process improvement, customer service and working in the healthcare market with Anthem Blue Cross and Blue Shield. During his tenure, Scott played vital roles in business development with leadership positions in Medicare Secondary Payor (MSP) services, customer service, and program management. While serving as vice president of program management, Scott led the capture, bid, transition and execution for the Centers for Medicare & Medicaid Services’ (CMS) Jurisdiction 13, and later, Jurisdiction K programs. During the final contract year for Jurisdiction 13, his team received the highest Contractor Performance Assessment Report (CPAR) among all other AB government contracts. Within these programs, Scott was responsible for more than a thousand employees working in claims, customer service, medical review, appeals, audit and reimbursement, and Electronic Data Interchange (EDI). He has a bachelor's degree in arts from the University of Louisville where his wife of 24 years, Elizabeth, also works as a professor. Rebecca Miller offers over 25 years experience in brand management, marketing, communications, media, advertising and corporate cultural change. She has managed, facilitated and/or assisted in reinventing marketing and communications systems in the healthcare, financial, insurance, transportation, construction, manufacturing and the arts industries. Her expertise includes improving internal and external brand management, communications and marketing at all levels of the organization/business. Ms. Miller’s talents also include the ability to translate senior management objectives into comprehensible communications for varied audiences. Ms. Miller works individually with CEOs and their teams from Fortune 100 companies to those with less than 50 employees. Most of her work involves brand management and extreme presentation training. This includes writing, editing, and packaging everything from RFP written responses and oral presentations to the actual delivery, tonality, and construction of the message. 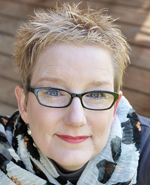 Johna Rodgers, GPC, is a technical writer with nearly four decades of experience across multiple genres. From her high school days as a weekend obit and “cop shop” reporter for her hometown paper to more recent years working with public and private agencies of all sizes, Johna brings a practical and common sense approach to every writing task. Focused on purpose, audience, content, and format, she now works with clients to make to make writing more practical, productive and less painful. As a trainer, she presents complex, potentially dull content in a seamless, entertaining fashion to ensure engagement and understanding for all. 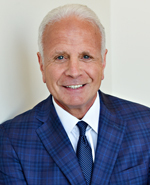 Lewis Rudy is founder and president of Rudy and Associates and works with business owners and their teams to build strong, intentional business growth. He identifies, isolates and eliminates the root causes of margin compression and under-performance. He has worked with dozens of regional, national and international companies to redefine and add real value to the organization. Typically, year-over-year results turn into triple digit profit improvement. Lewis’ workshops are challenging and always bring about actionable change. He actively facilitates a number of CEO and Senior Leadership round tables as well as educational programs such as REDI. 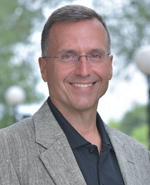 Michael Strawser works with regional businesses and organizations to provide targeted communication skills training and professional development as well as full-scale communication consulting. 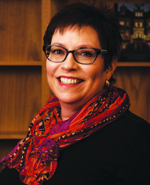 Dr. Strawser, an assistant professor and the director of graduate programs at Bellarmine University, is also the founder of Legacy Communication Training and Consulting. Michael earned his doctorate in Communication from the University of Kentucky, a master of arts in Communication and Leadership from Gonzaga University, and a bachelor of arts in Comprehensive Communication from Cedarville University. His passions include generational differences, communication/leadership, and talent management. 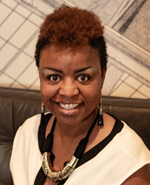 Danita Taylor has over 10 years of experience as a corporate coach, facilitator and trainer. As a graduate of the University of Louisville, Danita's passion is helping others discover their passion! 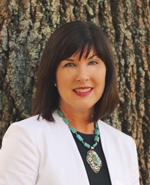 Danita’s professional certifications include DISC and Trait Emotional Intelligence by Thomas International, Certified Professional Coach by the Institute for Professional Excellence in Coaching, as well as a Senior Certified Professional in Human Resources by the Society for Human Resource Management. Danita is founder of LeaderShift Coaching where she provides career and leadership coaching, training and consulting to clients. She is also founder of LSHRM’s (Louisville Chapter of Society of Human Resources Management) Cheers to a New Career program where they provide job transition workshops to members. Danita has worked with many organizations and professionals helping them realize their potential and achieve success. Dr. Hope Zoeller is founder and president of HOPE (Helping Other People Excel), LLC, a firm that specializes in facilitating leader success at every level of an organization. For over 13 years of her professional career, Dr. Zoeller worked at United Parcel Service (UPS) in various roles including customer service, training and development, and employee relations. For the past 11 years, she has been consulting with organizations on leadership development. 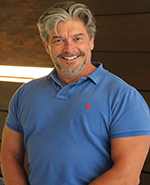 Dr. Zoeller is also a professor at Spalding University instructing in the Master of Business Communication program. 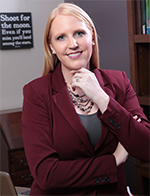 She has a Doctorate in Leadership Education from Spalding University, a Master of Education in Training and Development from the University of Louisville and a Bachelor of Arts in Communications and Psychology from Bellarmine University. Dr. Zoeller recently released a book HOPE for Leaders Unabridged. She originates from Southern Indiana and lives in Louisville, Kentucky with her husband Dr. Joe DeSensi. In her spare time she enjoys international travel and yoga. 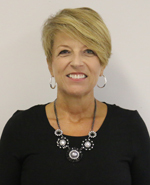 Kay is the Director of the Program Management Office at Churchill Downs Incorporated and has over 20 years of experience in project management. She also has nearly 25 years of teaching experience for various accredited universities. The twice published author also facilitates Project Management courses for working professionals. Kay serves as an active member of both the Project Management Institute (PMI) and Kentuckiana PMI chapter. Kay is also a member of Pi Mu Epsilon, National Mathematics Honor Society. Kay earned her Bachelor of Science in Mathematical Science in 1990 through the University of Kentucky, her Master of Arts in Mathematics from the University of Louisville in 1992, a Master of Arts in Computer Resource and Information Management from Webster University in 1995 and a Master of Science in Industrial Engineering from the University of Louisville in 2001. 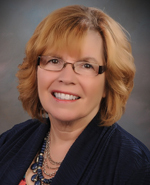 Kay’s certifications include Project Management Professional (PMP) and Master Black Belt in Lean Six Sigma. Gary, a native Kentuckian, has been a professional trainer and motivational speaker for many years. He spent many years traveling across the United States and Europe training programmers, web developers, project managers, and other trainers. He has a keen ability to take any topic and present it in a way that enable all learning types to absorb, understand and apply the material. With a thorough understanding of adult learning styles, hemispheric brain dominance theories and physiological learning constraints, he is able to conform to any classroom or audience environment to provide a positive student experience. 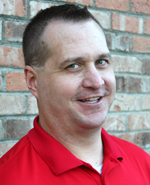 Gary has multiple Microsoft certifications, as well as multiple trainer and teaching certifications. He has delivered custom curriculum to many well know corporations including LG&E, Pacific Gas and Electric, Shell Oil, Dell Computers, Compaq Computers, Kindred Healthcare, Humana, NASA, Six Flags and many others. 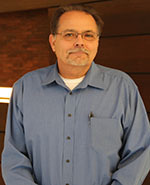 Chuck is the senior vice president of process improvement and execution for Farm Credit Mid-America. He has over 25 years of experience in personnel management, quality management, and project, program & portfolio management. Chuck is a member of the International Institute of Business Analysis (IIBA), a senior member of the American Society for Quality (ASQ), and a member of the Project Management Institute (PMI) and Kentuckiana PMI chapter. Chuck holds a Bachelor of Science in Management from Southern Illinois University, a Master of Business Administration from the University of Florida, a Master of Science in Project Management from the University of Wisconsin, and a Doctorate of Professional Studies in Information Management from Syracuse University. Chuck’s certifications include Project Management Professional (PMP), Program Management Professional (PgMP), Agile Certified Practitioner (PMI-ACP), Certified Business Analysis Professional (CBAP), Six Sigma Black Belt, Certified Manager of Quality/Organizational Excellence (CMQ/OE), Certified Software Quality Engineer (CSQE), and Certified Managed Healthcare Professional (MHP). Ray is director of program management for Churchill Downs Incorporated’s Program Management Office (PMO) in Louisville, Kentucky. He has been instrumental in defining the processes necessary to develop and implement a standardized project and portfolio management process at Churchill Downs. His project management experience includes web development projects, system upgrade and enhancement initiatives, and process improvement projects. Ray has extensive speaking and training experience with the Department of Criminal Justice Training (DOCJT). In addition to his project management role, Ray completed a distinguished career with over twenty years of service in law enforcement. He has not only led the planning and coordination efforts for security teams representing both national and international dignitaries, but also provided personal security for some of the world’s most influential leaders. He holds a Bachelor of Science degree in Justice Administration and is currently completing his Master of Science in Justice Administration. Brian Pait is a certified Project Management Professional (PMP) and Six Sigma Green Belt (SSGB). 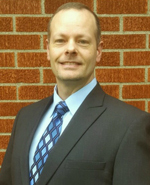 Brian earned his Master of Arts in Organizational Leadership from Gonzaga University and his Bachelor Degree in Business Management from Northwood University. Mike Seawood has more than 25 years of experience in leadership, program and project management, continuous improvement, problem solving, team building, coaching and mentoring teams, and training development. He is a certified project management professional (PMP) and Lean Six Sigma black belt with an undergraduate degree in mechanical engineering (aerospace) and a Master of Science in project management from The George Washington University in Washington, D.C. As a graduate of the United States Military Academy at West Point, Mike spent six years on active duty at Ft. Knox, Kentucky, prior to his transition to the corporate sector. 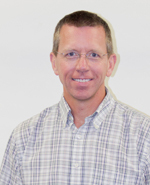 Mike currently works as a program manager for Farm Credit Mid-America. Prior to joining Farm Credit, Mike worked in various project management and quality roles at General Electric, Trane Air Conditioning, and at the defense contractor Raytheon. Mike is a member of the American Society for Quality and its Louisville section, belongs to the Project Management Institute (PMI) and is a member of its Kentuckiana chapter, and serves as an adjunct professor teaching graduate-level project management courses in the MBA program at Indiana University Southeast (IUS).